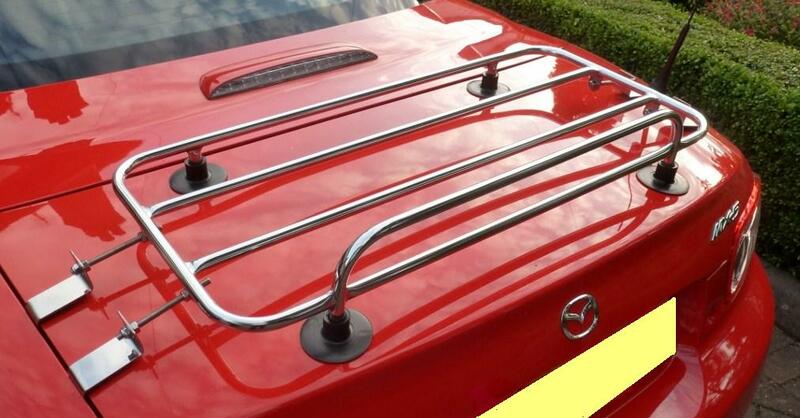 The Classic Temporary luggage rack is compatible with the Mazda Miata (MX5) NA, NB, NC and RC models. 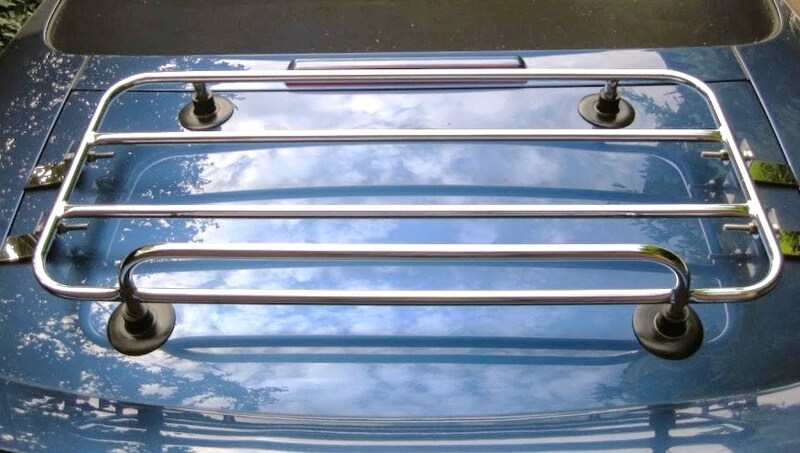 Miata owners with aftermarket trunk lip spoilers may choose the Classic Temporary the rack with a reduced footprint or the Sports Temporary. 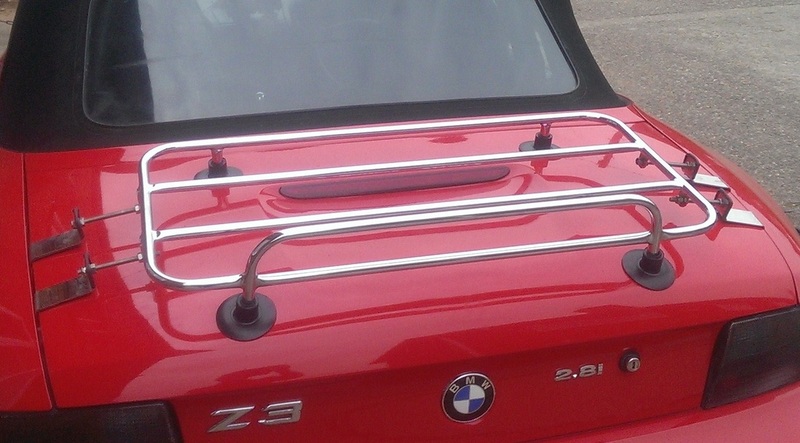 The Classic Temporary luggage rack is ideal for the larger trunk deck as a minimum of 17" or 440 mm depth clearance is required. for maximum strength and a seamless appearance. The four side clips are available finished in either mirror polished stainless steel or in a durable satin black polyester coating.